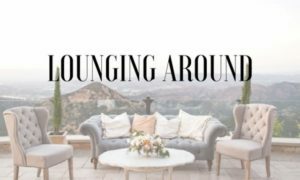 One of the ways we love to add personalization to a venue is to design a unique lounge area for guests to relax in during cocktail hour. With the right pairing of couches, chairs, and throw pillows you can easily transform a space. 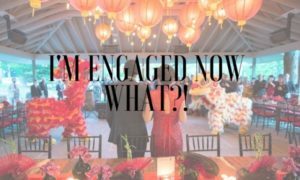 Today we’re looking at the lounge areas from two completely different weddings, same venue! 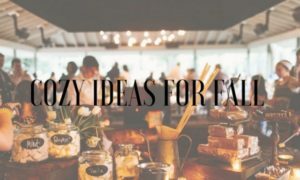 It’s finally starting to feel like sweater weather in upstate New York, so if you need a little inspiration for planning an intimate and cozy wedding or gathering for your family and friends, look no further! It actually happened! He got on one knee and popped the question, and you’ve never been happier. After a period of newly engaged bliss, you decide it’s time to plan the wedding. But how do you start? Bridal Fashion Week is wrapping up, and the 2018 collections that debuted are absolutely stunning. One of our favorite trends for 2018 is subtle dip dye ombre in delicious sorbet hues. It’s less of a tie dye and more of a barely there, kissed with color look. Perfect for the bride-to-be who wants to be a little daring but not completely give her mother-in-law a heart attack! We also love figure-flattering silhouettes and delicate embellishments. Keep reading to see some of our favorite dresses by Hayley Paige, Lazaro, and more. 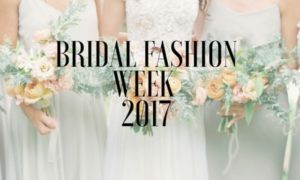 Today marks the official first day of Bridal Fashion Week, and we can’t wait to see what these incredible designers are bringing out for 2018. We’re drawing so much inspiration from these sneak peek sketches, courtesy of Brides.com. We can’t wait to see some of the designs in person. Hope to see you in NYC this weekend!